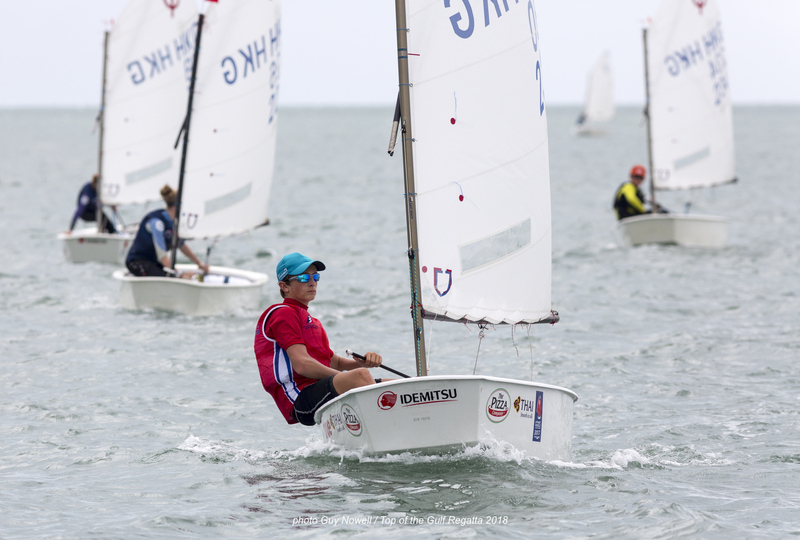 One-hundred-and-thirty-one Optimist dinghies competed at the 2018 Top of the Gulf Regatta in Pattaya, all vying for top honours in the Thailand Optimist National Championships, and the three-day competition was fierce, with reigning champion Panwa Boonak (THA) looking to hold off strong challenges from fellow Thai juniors and many of the best young sailors from around Asia. 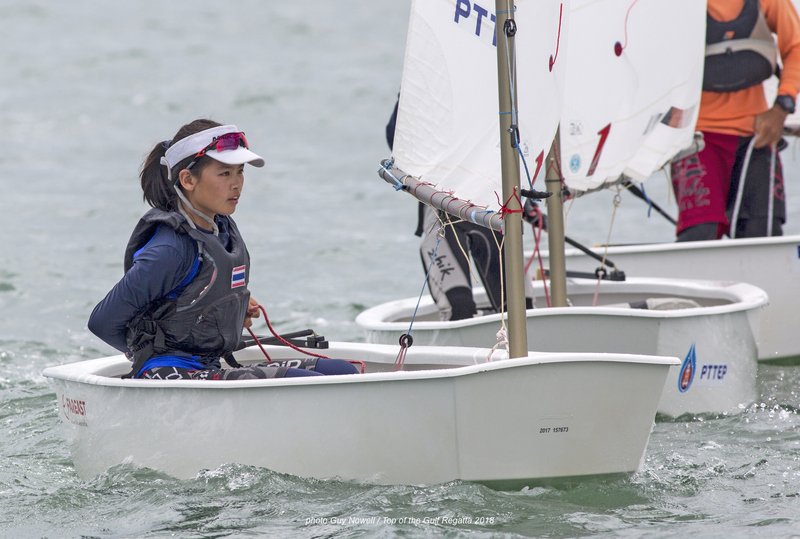 Thailand's premier youth sailing event, the Thailand Optimist National Championships was first launched in 1976 as the Optimist Thailand Championship Cup, and has been held annually since regularly attracting more than 100 sailors each time. Now, more than 40 years since its first sailing, it remains as competitive as ever and is Thailand's second oldest annual sailing trophy, the oldest being the Vega Rudder Trophy donated by His Majesty the late King Bhumibol Adulyadej. The Thailand Optimist National Championships is held as an integral part of the Top of the Gulf Regatta, organised by the Junior Sailing Squadron of Thailand and the Yacht Racing Association of Thailand, and in Thailand is often a gauge of a young sailors prowess and a qualifying event for a regional games. Having been split into two fleets prior to the first race this year, defending champion Panwa Boonak was in the Gold Fleet and was determined to be one of only a handful of juniors to ever defend the title. A fourth in the first race was a solid start, and he built on that with a first in the second race. Squalls upto 25 knots and thunder and lightening, while periods when the fleet was becalmed, made the three-day event exceptionally challenging and only one race was completed on Day 2. In that race Panwa managed to secure a bullet and set himself up well for a final day showdown. Hong Kong's Duncan Gregor had a strong start to the series snd sat in second place at the end of the first day, but a string of below par performances thereafter saw him to drop and finish fifth overall, one place above another Hong Kong sailor, Casey Law. As the conditions continued to be tricky, local experience came to the fore and M.L Weka Bhanubandh worked his way up the fleet. A second in Race 3 and third in Race 4 helped him to finish in second place overall and be crowned the top Under 12 sailor. 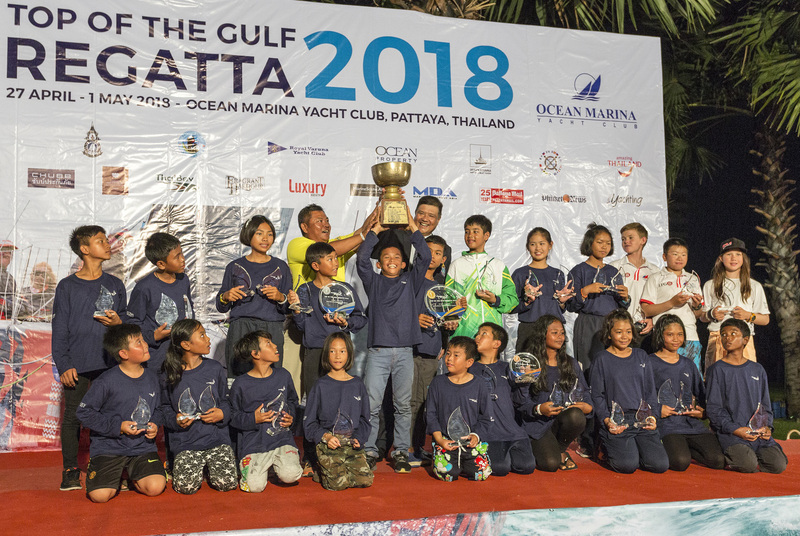 Other fast finishers included Patihan Vorrasart (THA) who placed third overall and Chalisa Krittanai who was one place back in fourth and the top female sailor. The three days, however, belonged to Panwa Boonak. 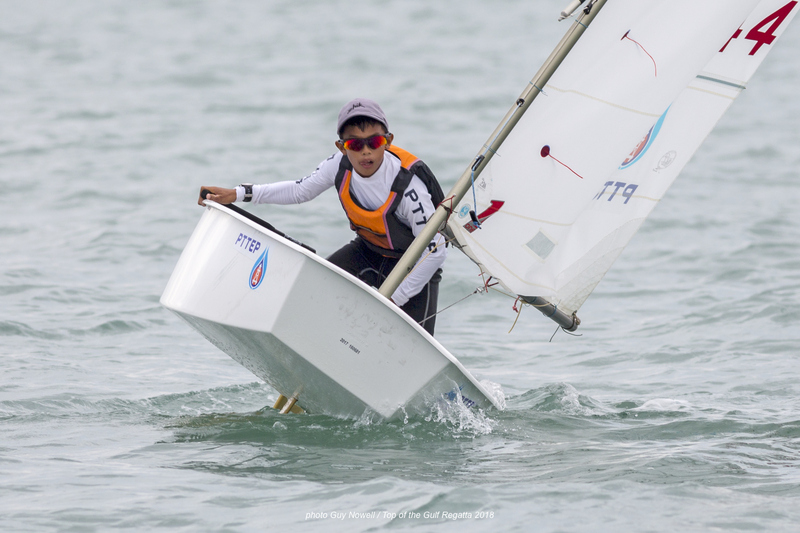 Never flinching under the pressure a 4,1,1,1,1 scoreline saw him defend his title comfortably and be crowned 2018 Thailand Optimist National Champion at the final prize-giving held at Ocean Marina Yacht Club. In the Silver Fleet the top three places went to Yoth Srimanchanda (THA), Attasuk Boontawee (THA) and Kritphet Suwannarai (THA), respectively. Founded in 2005, the 2018 Top of the Gulf Regatta Presented by Ocean Marina will take place 27th April to 1st May. Owned and organised by Ocean Property, the regatta is hosted by Ocean Marina Yacht Club with support from the Yacht Racing Association of Thailand, Royal Thai Navy, Royal Varuna Yacht Club and Pattaya City. The Top of the Gulf Regatta Presented by Ocean Marina is unique: it is the largest multi-class sailing event of its kind in Asia, incorporates the Coronation Cup and the Thailand National Optimist Championships, and is the only regatta in Thailand hosted at a marina. In recognition of the regatta's success, Top of the Gulf Regatta Presented by Ocean Marina claimed Silver for “Best Amateur Sports Event of the Year in Thailand” at the 2016 Asian Sports Industry Awards, and was voted 'Asian Regatta of the Year' at the 2014 Asian Marine & Boating Awards.